Opening by the Duke of Cambridge of the New Head-Quarters and Drill-Hall of the London Scottish Rifle Volunteers, James' Street, Buckingham Gate. 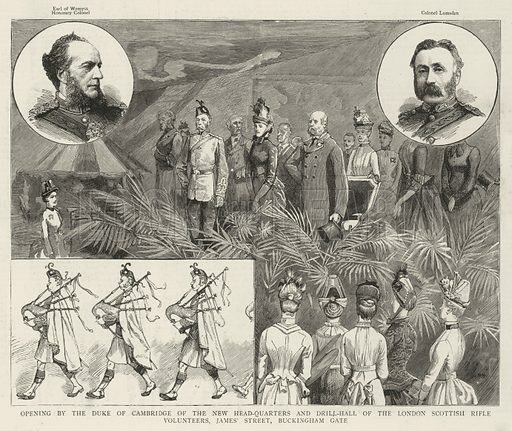 Illustration for The Graphic, 3 July 1886. Available worldwide for immediate download up to 5,524 x 4,655 pixels.